Do you set impractical standards for the way you handle situations at home, in social settings, or at work? Do you beat yourself up when you don’t get it totally right? If yes, then you are likely a perfectionist. The thing is being a perfectionist doesn’t guarantee that you will always get things done faster, better, or more flawlessly than anyone else. Instead it can sink you into endless self-doubt, disappointment, and inevitable stress each time you fail to meet up. I can remember in my 20s, beating myself up for days over even the tiniest of flaws – one or two typos in a newsletter at work. Talk about unnecessary suffering (and taking myself way too seriously). Even in my 40s, I continued criticizing and questioning myself. Something clicked though when I was telling my then-boss about an error I made during a presentation. He suggested that I start focusing on what I did right instead. He also mentioned that we all make mistakes. Being imperfect is one thing all of humanity has in common. 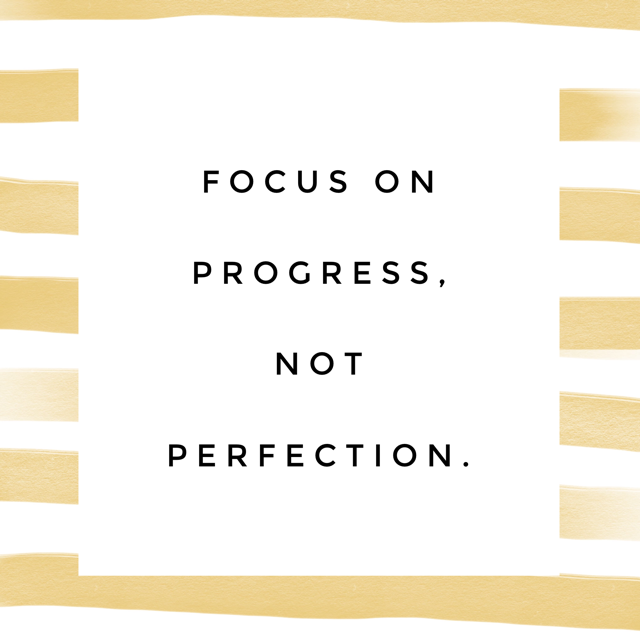 How has Perfectionism Stopped You? Now my question for you is: Have you held yourself back personally or professionally out of fear that you are not ready, worthy, or good enough? Forgiving yourself for not being perfect can help you overcome that fear and move forward and achieve your dreams. While intellectually you know that you cannot be perfect or close to perfect in every aspect of your life, you may automatically experience emotional distress when you’re not. There are real costs to your mind, body, and spirit when you lack self-compassion. If perfectionism is something you grapple with, what might you do to be kinder to yourself in the moment? Follow the wise guidance of my (now retired) boss mentioned above. Focus on those things you did (or do) right. Identify and talk through with your partner or a friend 3 things you did that you were most proud of that day. Ask yourself how important your mistake or misunderstanding will seem to you when you’re 75 or 80 years old. How does that change your perspective? Add a loving kindness meditation to your day to help you meet yourself with more kindness and compassion. Connect with loved ones and supportive colleagues. Engage with others who can remind you that you are not alone and who accept you as you are. Remember, this is not about boasting. It’s about quieting the endless stream of self-criticism that keeps you from bringing out the best you for yourself and your loved ones.